According to Yole Développement’s “MEMS Pressure Sensor Comparison 2018 report,” the global microelectromechanical systems (MEMS) pressure sensor market was about $1.6 billion US in 2017. It will grow by 3.8% per year to reach a value of $2B in 2023. While automotive and consumer applications are the largest markets, medical and industrial markets continue to grow at moderate rates. This is attributed to the lack of new applications, except one in the medical area. In Yole’s analysis, new medical smart inhalers fall in between the medical and consumer markets and indicate a path for many future medical consumer Internet of Things (IoT) applications. 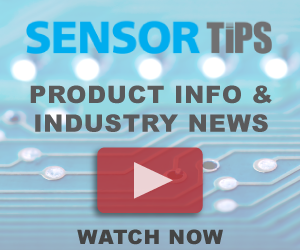 In all market segments, the report identifies the key driving forces and restraints for each pressure sensor market and application and provides accurate market value and volume forecasts. With MEMS pressure sensor technologies basically segmented into piezoresistive and capacitive categories, today piezoresistive technology has the leading market share. The report sees this continuing in the future even though the adoption of capacitive technology is increasing in consumer applications. The reasons are: (1) both two technologies are not hugely different in terms of performance and (2) the capacitive approach is limited to absolute pressure applications. In the report, analysts compare the devices that use piezoresistive or capacitive technology, manufactured with bulk micromachining or surface micromachining processes as well as the first level packaging or module packaging, monolithic or multi-chip structures and identify package dimensions. In addition, they analyze internal structures, MEMS and ASIC dies, die dimensions and package cross-sections, to provide a comprehensive review of MEMS pressure sensors.